The Red Sox—the baseball team-nation-empire-floor wax-desert topping that The Professor loves to love, hates to love, and loves to hate [in that order of significance]—are almost to the halfway-point in the 2014 season. Every once in awhile during the 162-game stretch, The Professor ponders the contradictions that make the Red Sox’s operations akin to “a riddle, wrapped in a mystery, inside an enigma” as Winston Churchill once said of Russia. This particular day found The Professor wondering about the plethora of ex-Red Sox players still hotting it up around the MLB. This point was brought home last night when former Boston player, and current Oakland A’s centerfielder Covelli “Coco” Crisp, beat the Sox with a 2-strike, 2-out game-winning hit in the bottom of the 8th inning for a 4-3 win. Then, in a moment of kismet chemistry, Crisp did the same thing today, déjà vu all over again, as he knocked in the winning run in the bottom of the 10th inning for a 2-1 walk-off A’s victory. Who knows what tomorrow’s game will bring but for now, what tragic and bittersweet irony! What incontrovertible evidence that the baseball gods have a twisted sense of humor! Before Jacoby Ellsbury took over CF for the Red Sox in 2008, Coco Crisp was their starting centerfielder—a plus-defensive player, a stolen base threat, and a decent hitter, especially in the clutch. But in true Red Sox fashion, they traded Crisp. They had Ellsbury who had already come up to the bigs as a minor-league phenom and they believed [correctly] that he was ready to step-up to being a big-time big-league player. They could have kept Crisp in case Ellsbury got injured and missed games [he did], but the Red Sox opted to push him out the clubhouse door. Fast-forward to last season. Now it was Ellsbury’s turn. He was the one who wasn’t being offered a new contract because he was deemed too expensive to keep and thereby became a free agent. This pattern of push-coming-to-shove with proven veteran players unceremoniously being dumped has been repeated over and over again by the Red Sox who have lost or let go top players for almost as long as The Professor has been paying attention. 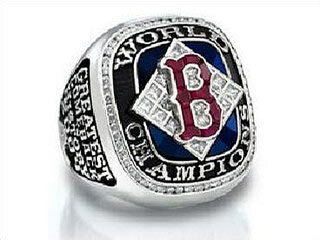 Just as with Ellsbury, the Red Sox management previously parted with such All-Stars as Bronson Arroyo , Johnny Damon , Nomar Garciaparra [mid-2004], Pedro Martinez , Derek Lowe , Mo Vaughn , Roger Clemens , Dennis Eckersley , Carlton Fisk , and Fred Lynn  and still others too numerous to mention here. Better to do that, they figured, than take on long-term, expensive contracts. The reasoning seemed to be that it was better to cut ties with players, no matter how talented or loyal they were, than to grant them a deserving and commensurate paycheck. Once Ellsbury became a free agent in 2013, he quickly signed a $153M, 7-year deal with the long-reviled New York Yankees. Instead of re-signing the proven Ellsbury, the Red Sox opted to bring up the unproven prospect Jackie Bradley, Jr. So far, JBJ has turned out to be a great defensive centerfielder with both glove and arm and a decent hitter with men on base. But overall, he has been a disappointment, hitting just .205 and striking out more than once a game. In just one year, the Sox went from having the outfield with the most offensive production in 2013 to having the worst in baseball. Just to be clear, what The Professor would have done is as follows: begin wooing Ellsbury extensively in 2012, continuing through 2013 via both behind-the-scenes private overtures as well as public displays of local and regional affection. The exterior goal would be to make Ellsbury look like the bad guy if he even thought about leaving; the interior goal would be to obtain the home-town discount, and use that to negotiate a win-win shorter deal [even if it ended up paying him more per year]. While he was pondering the orchestration of that deal—the design of the situation, if you will—The Professor was reminded of another departee, recent All-Star 3B Adrian Beltre. He played only one year  for the Sox, but made it a memorable one by hitting for a .321 batting average, knocking-in more than 100 RBIs and leading the entire MLB with 49 doubles. The Sox had an option to pick him up in 2011 but they bailed, deciding it was better to pay $1M as a buy-out[!] and let him become a free agent. Consequently, he’s now with the Texas Rangers with a 5-year deal; he bats clean-up and been an All-Star and Gold-Glover ever since. Since 2011—incidentally or coincidentally—the Sox have struggled to find a reliable 3B of their own, trying Kevin Youkilis [in the downside of his career], Pedro Ciriaco [at the very beginning of his] and Will Middlebrooks [another young hope who has been beset by injuries, hitless streaks, and trips down to the minor-league Pawtucket team]. As The Professor further pondered the meaning of it all, he was reminded of a similar scenario: the departed All-Star [and switch-hitting] C Victor Martinez. He played for the Sox from the second-half of the 2009 season through the first-half of the 2010 season and thus overlapped with Beltre. The Sox obtained Martinez by trading solid young pitcher Justin Masterson and two other players to Cleveland. Martinez caught for Boston [along with the captain, Jason Varitek] and also played first base; he fractured his thumb in 2010 but still hit .302 and mashed 20 HR. Like Beltre, the Sox simply let him go after essentially one season. Martinez, in turn, signed a 4-year deal with the powerhouse Detroit Tigers where he has hit for a .317 overall batting average since his arrival [also, like Beltre, he bats in the key 4th or 5th slot]. The Sox traded three young players for Martinez, used him for about a year and then let him go. Have the Sox struggled to find a replacement who could offer even ¾ the offensive menace of Martinez? Of course they have! From Jason Varitek to Jarrod Saltalamacchia to David Ross to A.J. Pierzynski, none has been close to Martinez’s batting prowess [although Varitek was a clubhouse force to be reckoned with]. To loop around back to the beginning—and to return to the player who launched this whole reverie—Coco Crisp was the CF for the Red Sox from 2006 – 2008, and the Cleveland Indians before that. In 2006, the Red Sox had a hole to in that position after letting their previous CF Johnny Damon go to free agency [where he not only joined the Yankees, he trimmed his Samson-like hair and flowing beard to suit the Yankees’ dress policy]. So the Sox traded with Cleveland to get Crisp. To be fair, the Sox didn’t let Crisp go; he was traded to the Kansas City Royals for the pitcher Ramon Ramirez, who played 2009 – 2010 for the Sox before being sent to the San Francisco Giants [where he went on to excel]. Crisp played less than a year with the Royals before he tore his labrum and had season-ending surgery. He was released and signed with the Oakland Athletics where he is effectively signed through the 2016 season. In his time with the Sox, Crisp was beyond reproach: a great outfielder and a clutch hitter, just as he was yesterday and today with the A’s. In situations like this where a former Red Sox player torments his old team, it’s all-too easy to tilt toward the negative with respect to the Sox management team. During such periods, The Professor thinks back to the still-reachable glory years of recent times when the Red Sox surprised one and all by winning the World Series in 2007 and 2013, and that even more improbable year in 2004 when they trailed the New York Yankees three games to zero in the American League championship series—and then did something no team had ever done before. The Red Sox won four straight games, beat the Yankees, and went on to the World Series where they beat the St. Louis Cardinals, winning four more straight games to win their first championship in 86 years in pure, unprecedented, come-from-behind, I-told-you-so, and now it’s a legend, sporting drama that truly was one for the ages because it broke The Curse dating back to 1918 and the time when Babe Ruth was sold to the Yankees, which is why, more than any other team [although the Chicago Cubs are trying hard], the Red Sox are the team you love to love, hate to love, and love to hate—and that’s why they call me The Professor.